Seton's Aluminum Decals are backed by our 100% Satisfaction Guarantee! Select from a wide variety of Aluminum Decals at competitive prices. Plus most of our top-quality Aluminum Decals are in stock and ready to ship today. 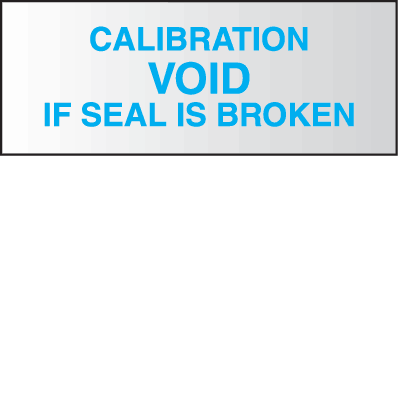 Black Calibrated aluminum status labels show exactly when the last calibration was. Informs workers and increases communication. Inspected aluminum status labels allow for increased communication and safety. Tested for Electrical Safety aluminum status labels show when equipment was last tested.